We are a reputed firm, engrossed in manufacturing, exporting and supplying of Garmin GPS Systems from Delhi, India. Our domain expertise has enabled us to fulfill usual as well as specific demands of the buyers. We reasonably priced our Garmin GPS Systems for the ease of the patrons. 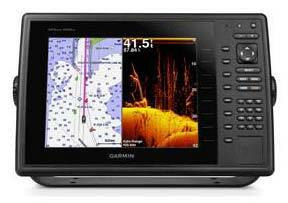 Reckoned for their impeccable finish and longevity, our Garmin GPS Systems are acquirable in retail or bulk. The GPSMAP 1020xs keyed chart plotter/sonar combo has a 10” color SVGA display and comes preloaded with a worldwide base map. HD-ID, CHIRP and DownVü with CHIRP sonar technology are built-in, allowing you the flexibility to choose from several optional transducers.